Railpictures.ca - Doug Lawson Photo: Taking a break on the shop track. BCR 580, originally delivered with high hood short nose and modified later in life, the date slips my mind. Anyhow, these were great units for yard switching with quick throttle response for kicking cars and good braking effort with cast iron brake shoes. | Railpictures.ca – Canadian Railway Photography – photographie ferroviaire Canadienne. Caption: Taking a break on the shop track. 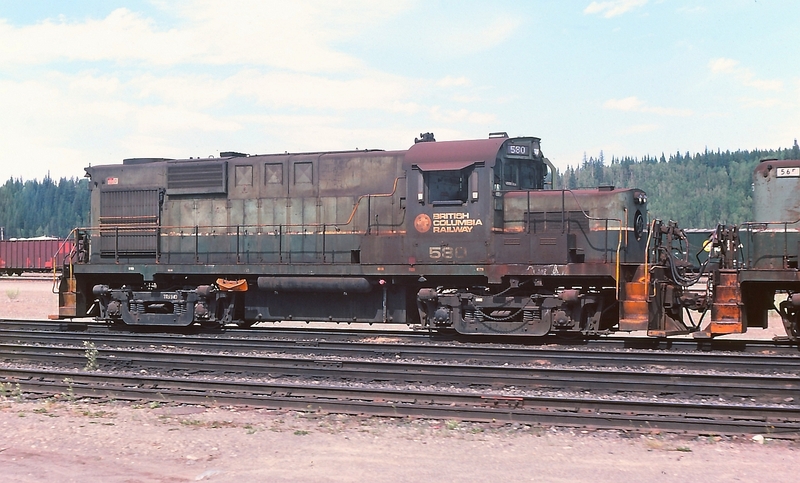 BCR 580, originally delivered with high hood short nose and modified later in life, the date slips my mind. Anyhow, these were great units for yard switching with quick throttle response for kicking cars and good braking effort with cast iron brake shoes.